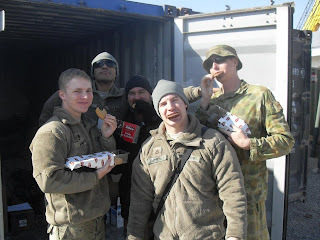 Hero Blog: More heroes enjoying Archway COOKIES! 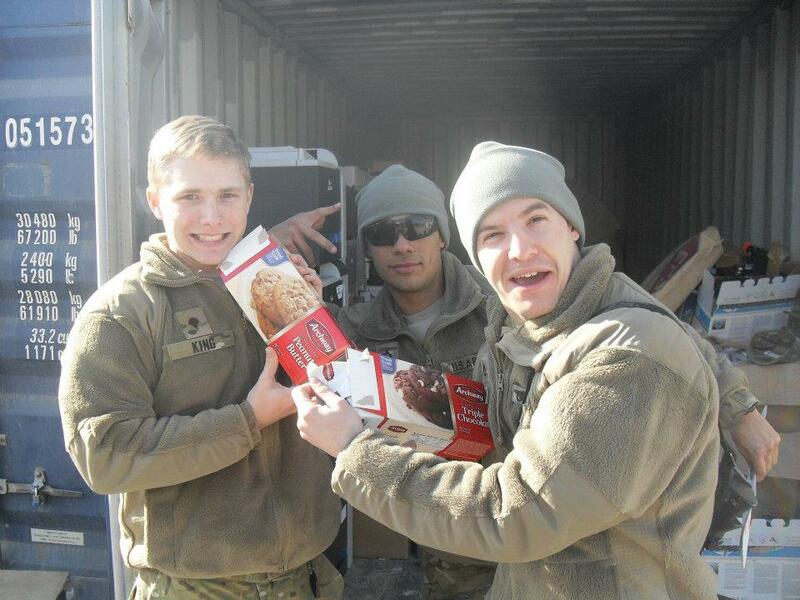 These photos were found on Sandy's Facebook wall - they are a hoot! 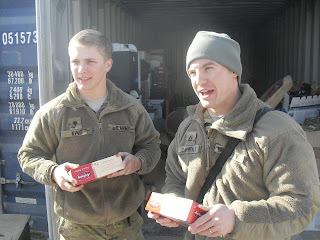 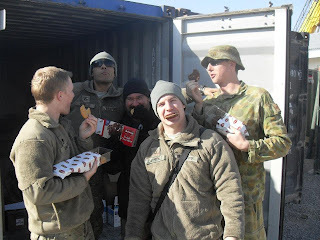 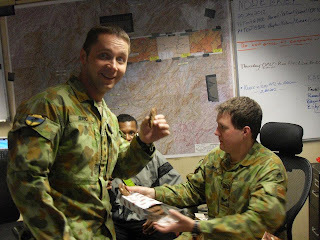 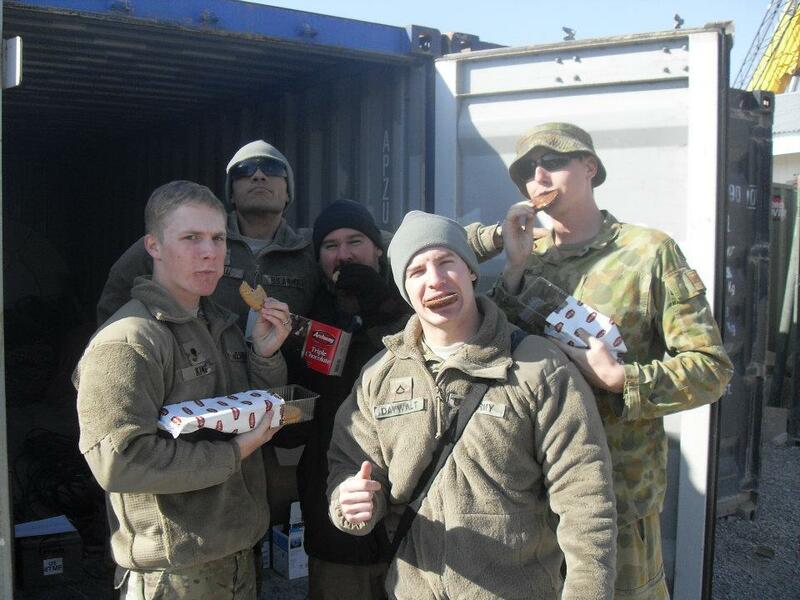 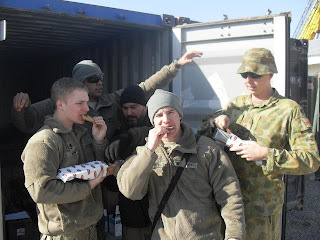 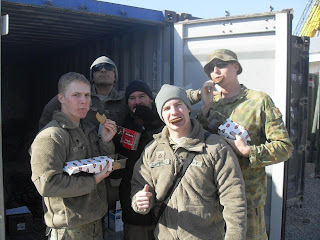 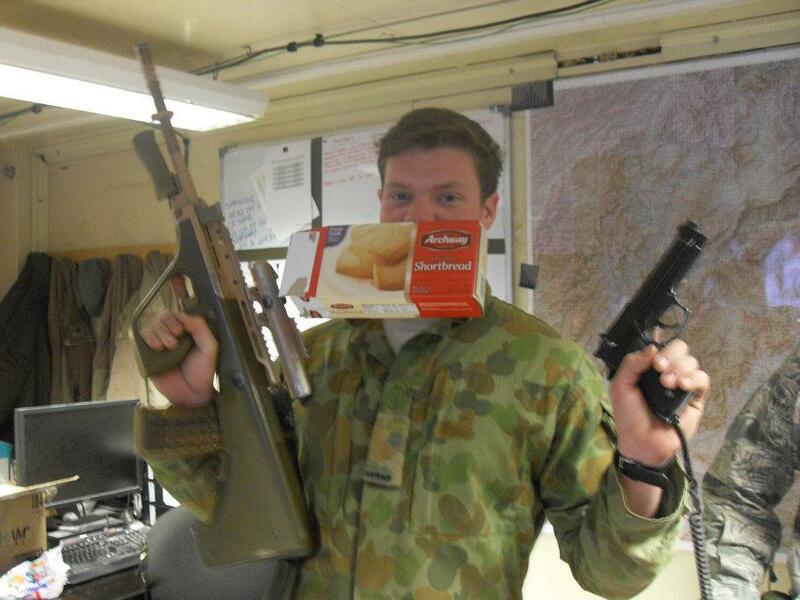 From the soldier posting them: "The guys realy liked the cookies. Its amazing how photogenic guys get when treats are involved!" 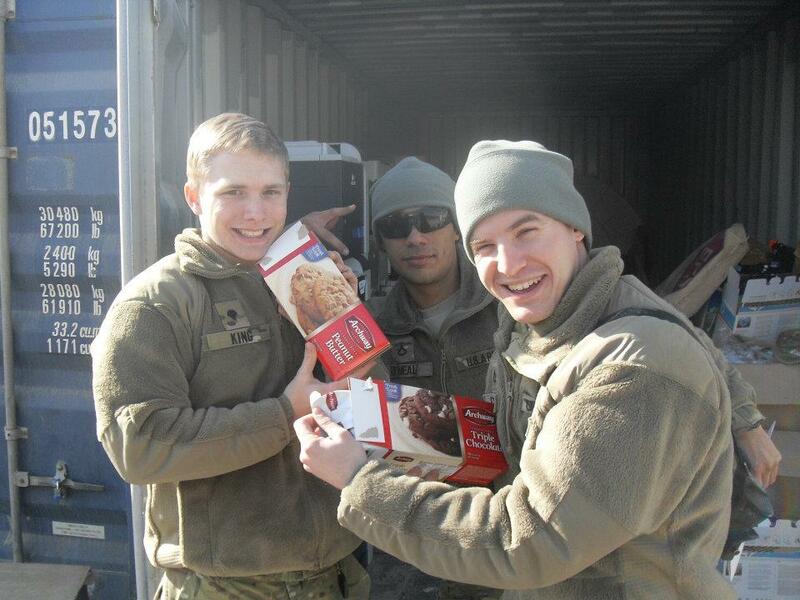 Many many thanks to Archway for matching our Valentines with cookies!! I'm Taking the last box and there is nothing you can do to stop me.... hhaahhhaaa! Notice how SPC King is guarding his cookies like a Football receiver running for the touchdown. 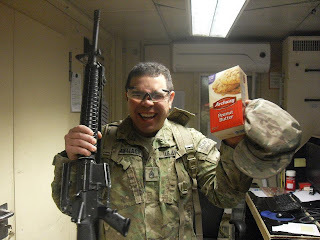 WOO HOOO look what we got! 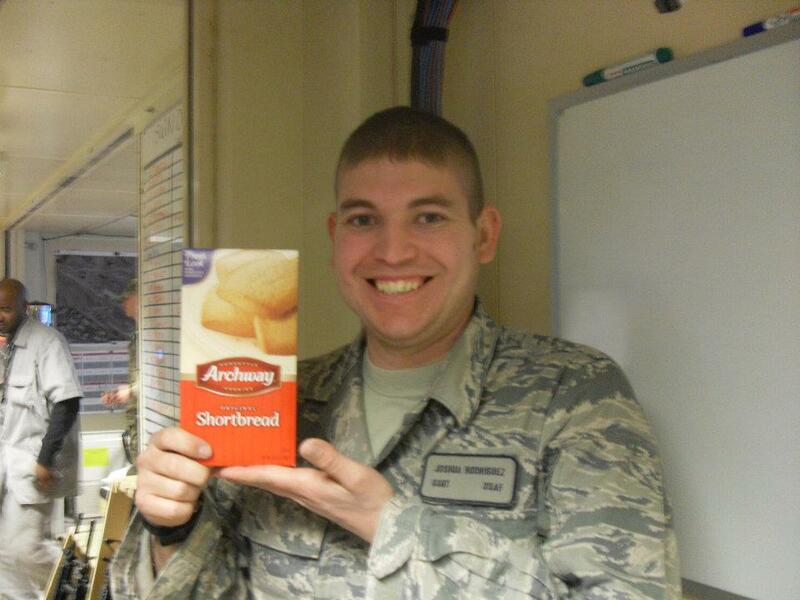 Hey Eric look what we got today. 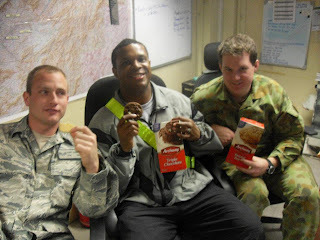 WOW someone sent us cookies!!!! 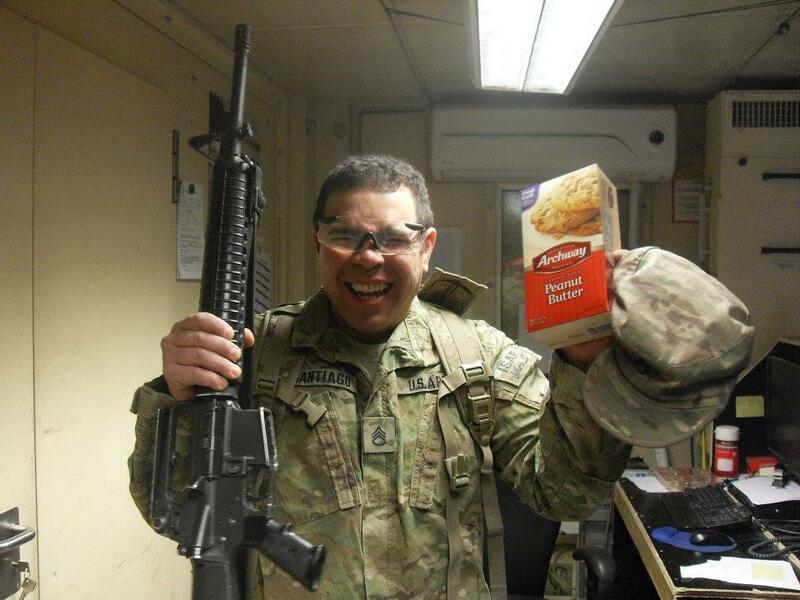 Say cheese.... No Way how bout COOKIE!!! 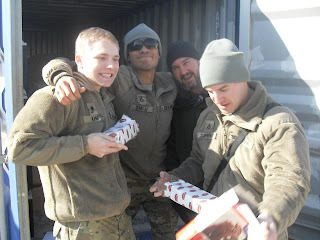 Yummmmmuuuummm, they're so good I just cant stop eating them. 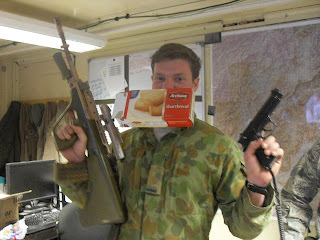 Aussie friend, have some American goodness, better than your biscuits. "Hey Sarg, these are realy Good."